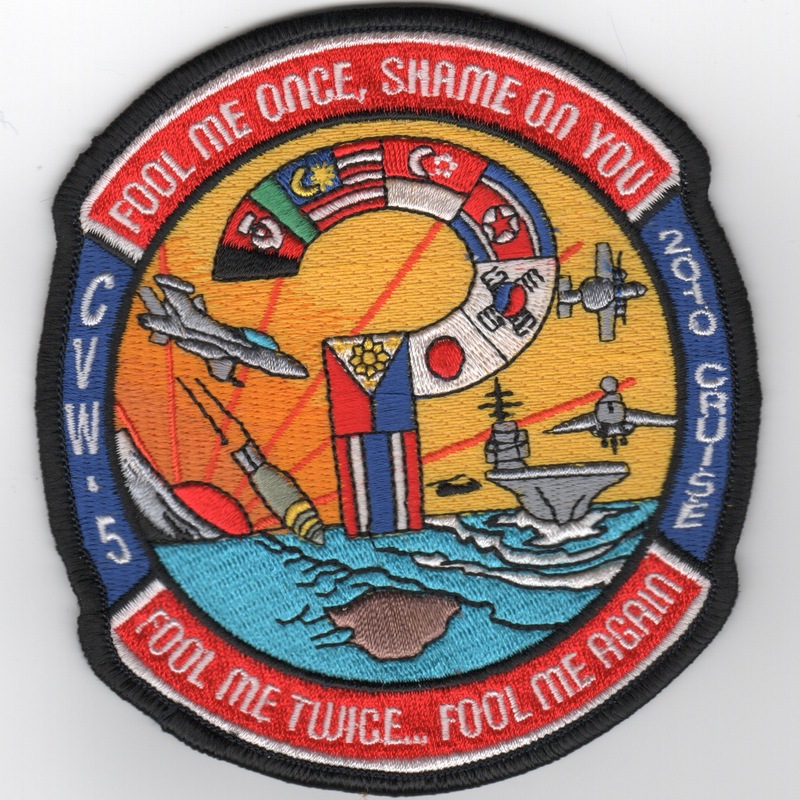 This is the dark blue version (with a yellow border) of CVW-5 patch for the US Navy Airwing flying out of Japan. No velcro. 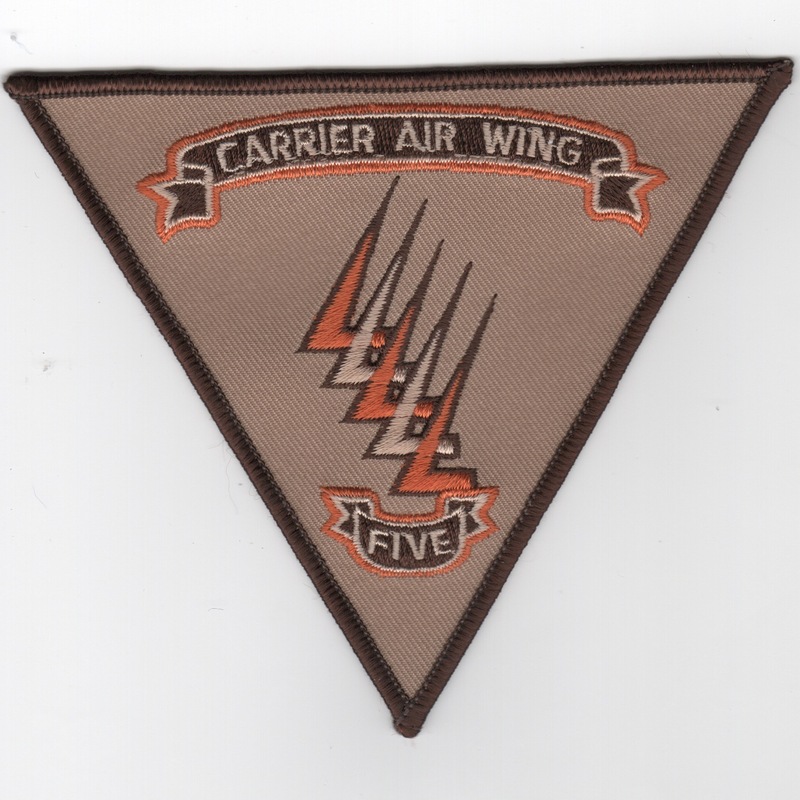 This is the desert version of the Carrier Airwing 5 patch for the Air Group flying out of Japan. 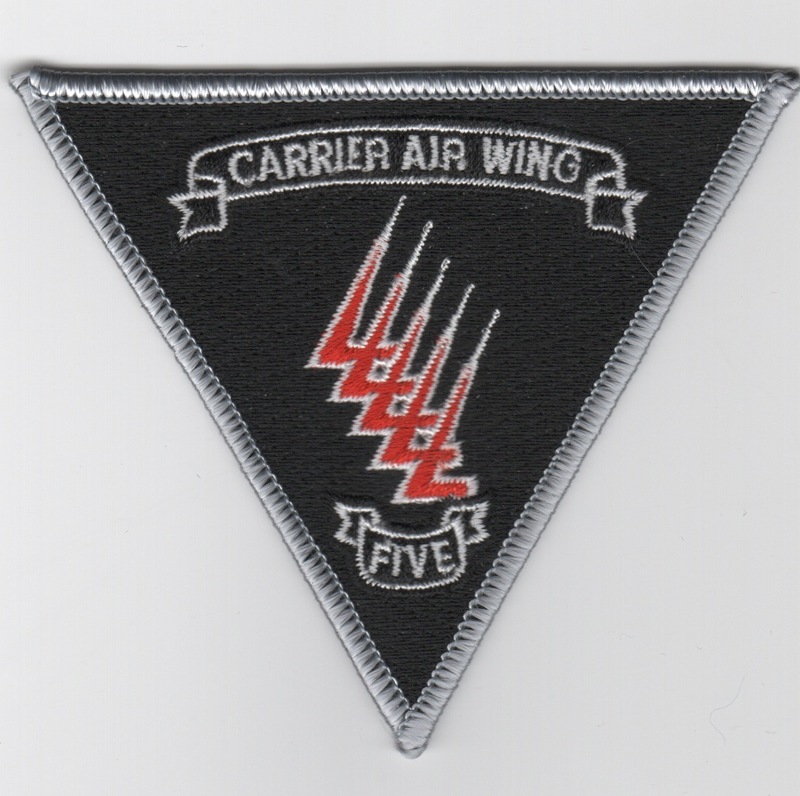 This is the black version of the Carrier Airwing 5 patch for the Air Group flying out of Japan. This is the red version of the Carrier Airwing 5 patch for the Air Group flying out of NAS Atsugi, Japan. 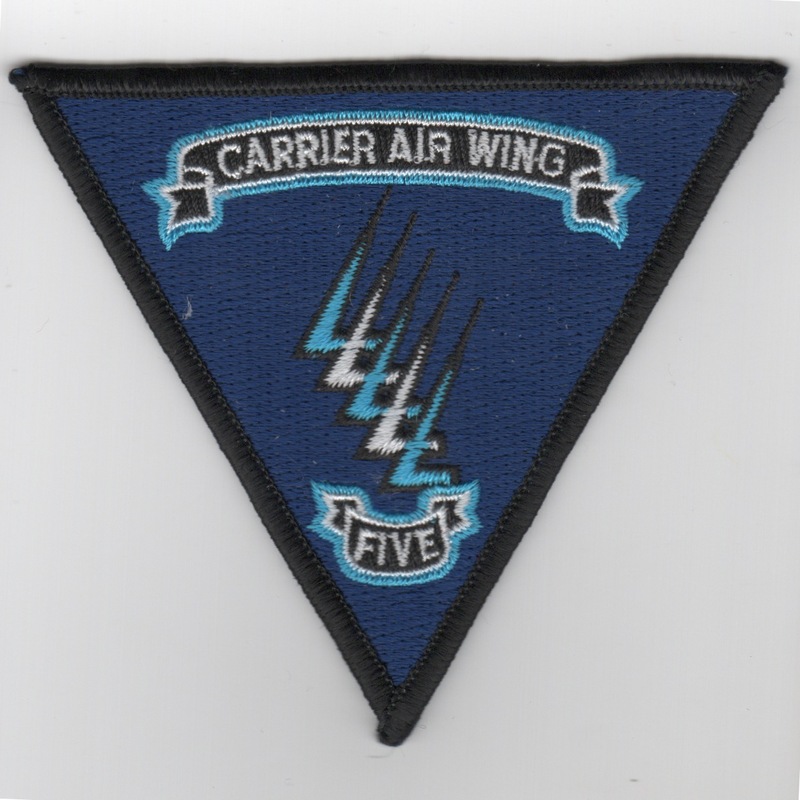 This is the dark blue version of the Carrier Airwing 5 patch for the Air Group flying out of NAS Atsugi, Japan. 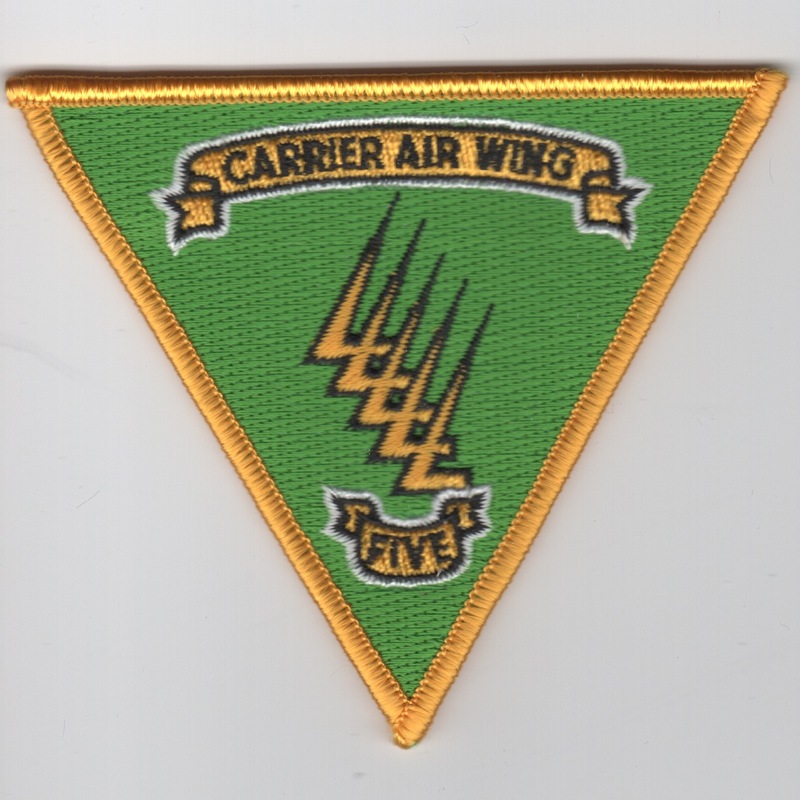 This is the green (w/yellow border) version of the Carrier Airwing 5 patch for the Air Group flying out of NAS Atsugi, Japan. 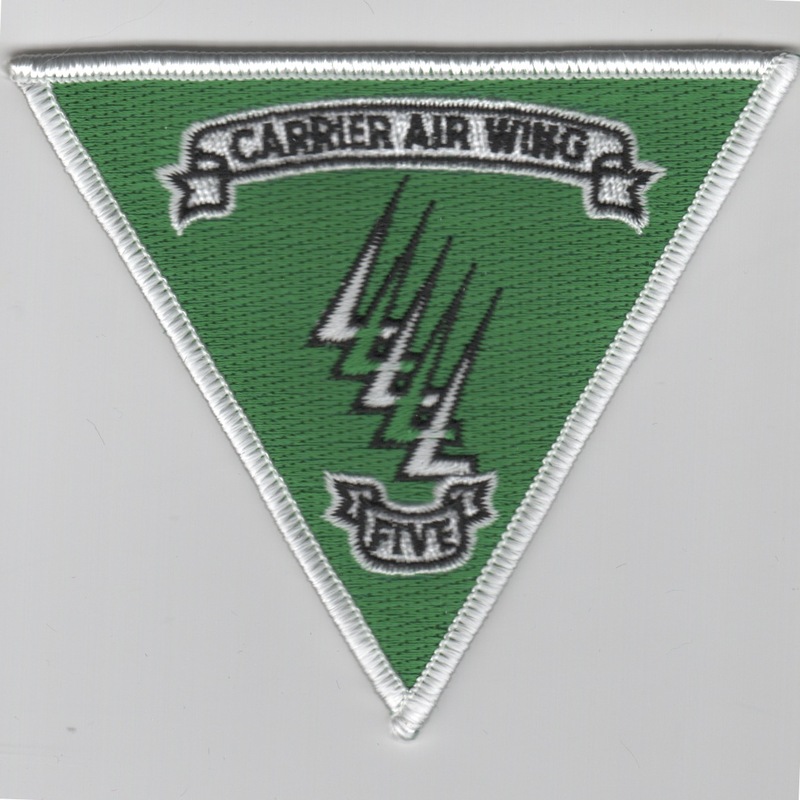 This is the green (w/white border) version of the Carrier Airwing 5 patch for the Air Group flying out of NAS Atsugi, Japan. 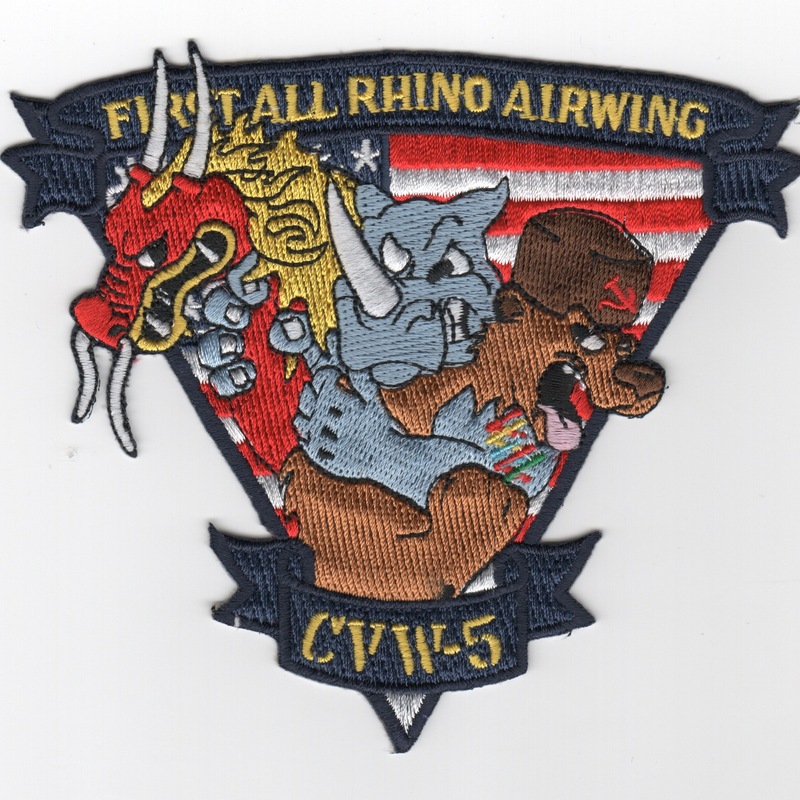 This is the Carrier Airwing 5 patch for the Air Group flying out of Japan. It shows the Japanese "setting sun" that is very symbolic of that location. 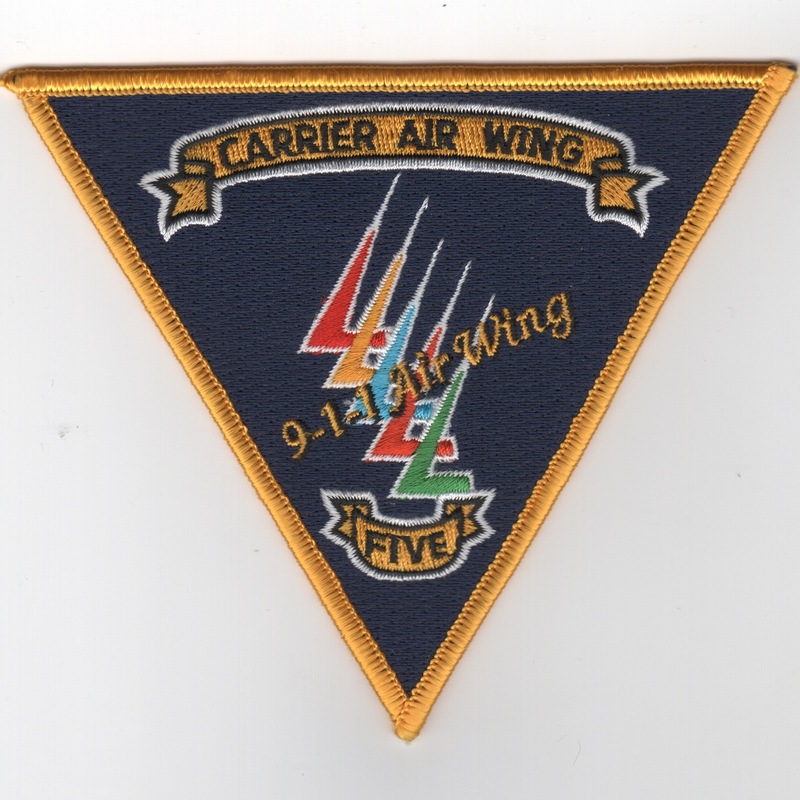 This is the Carrier Airwing 5 patch created for Airwing 5 and says "9-1-1 Air Wing". This is the CVW-5 2014 Strike Fighter Armament Readiness Program (SFARP) detachment to NAS Fallon, NV for preparation for their upcoming deployment. This patch does not come with velcro attached. 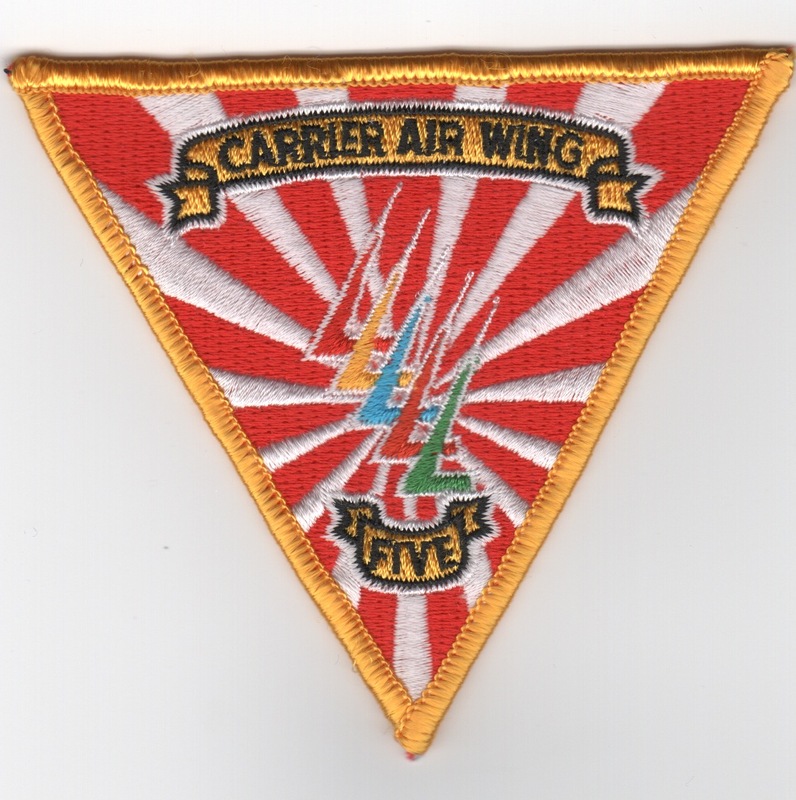 This is the Carrier Airwing 5 patch for the Air Group flying out of Japan. It says "Fool Me Once, Shame on You....Fool Me Twice, Fool Me Again". 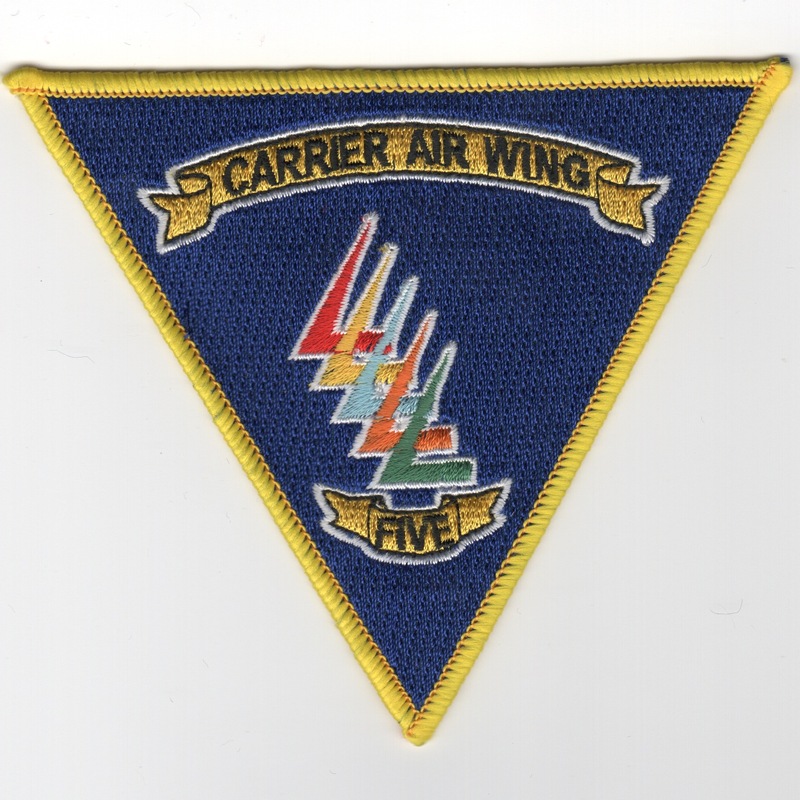 This patch was created for Carrier Airwing 5. 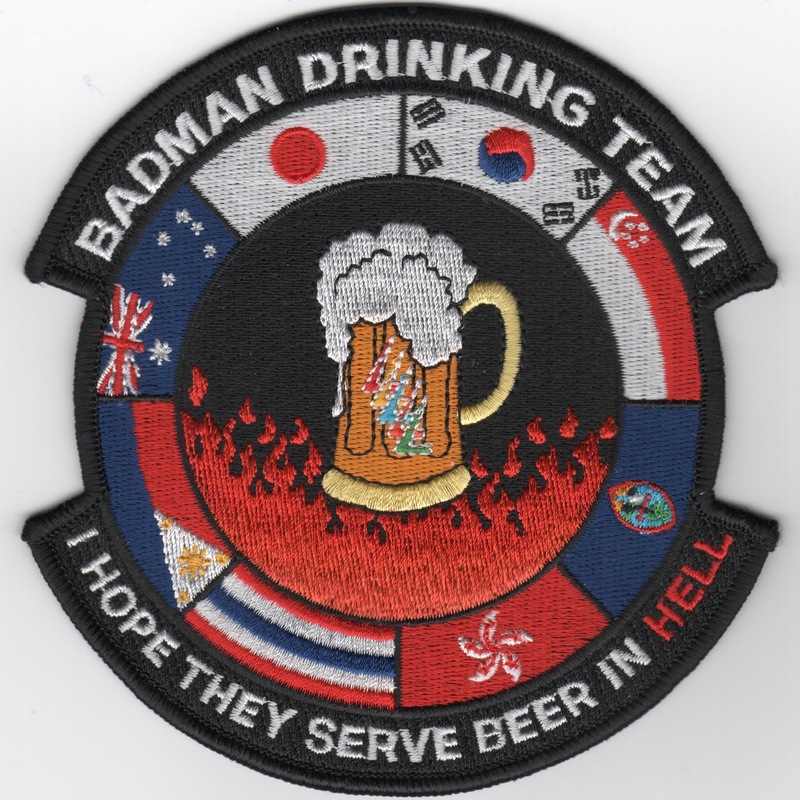 It says "BADMAN DRINKING TEAM" across the top, "I HOPE THEY SERVE BEER IN HELL" along the bottom and shows a "Frosty Beverage" in the center.....must be one helluva story behind the creation of this patch!! 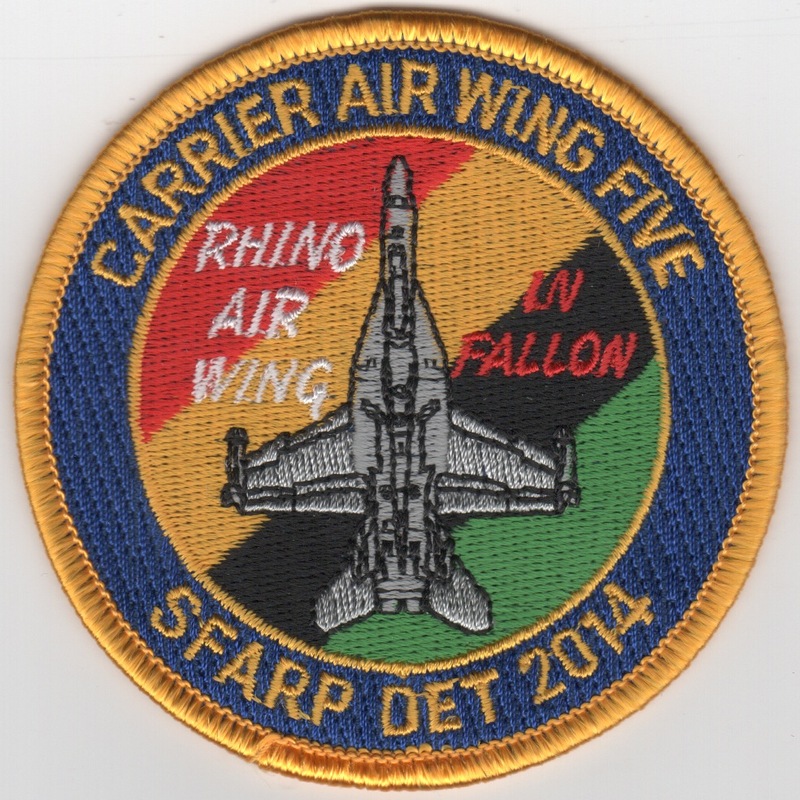 This patch was created for Carrier Airwing 5. 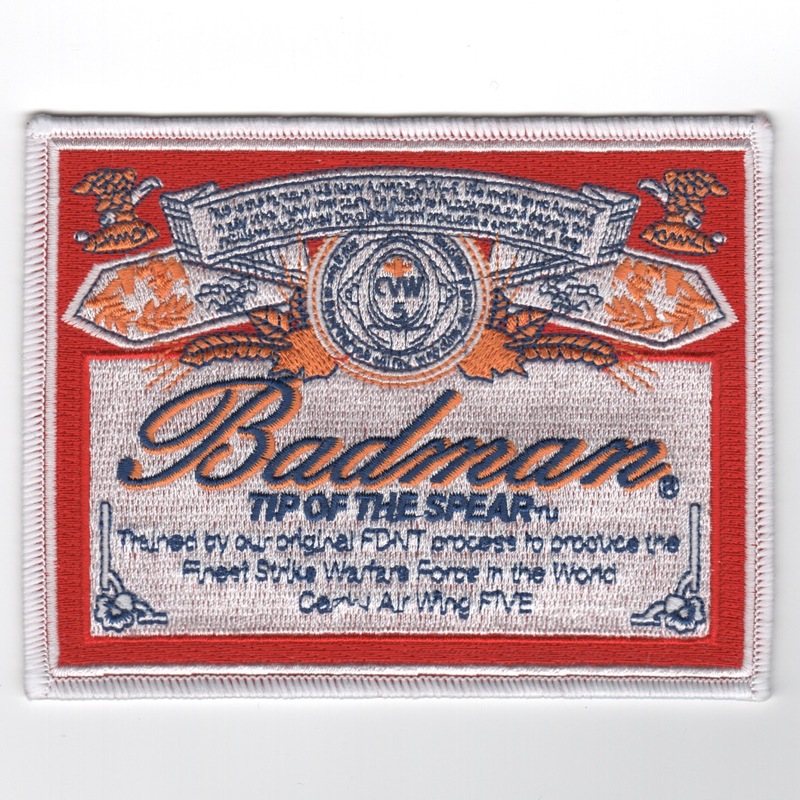 It says "BADMAN TIP OF THE SPEAR".....must be one helluva story behind the creation of this patch!! I can barely read the text at the top and bottom, which was written in small font to represent the lettering on the beer bottle labels, but lettering at the bottom says "Trained by our original FDNT process to produce the Finest Strike Warfare Force in the World Carrier Air Wing Five". This patch does not have velcro attached. 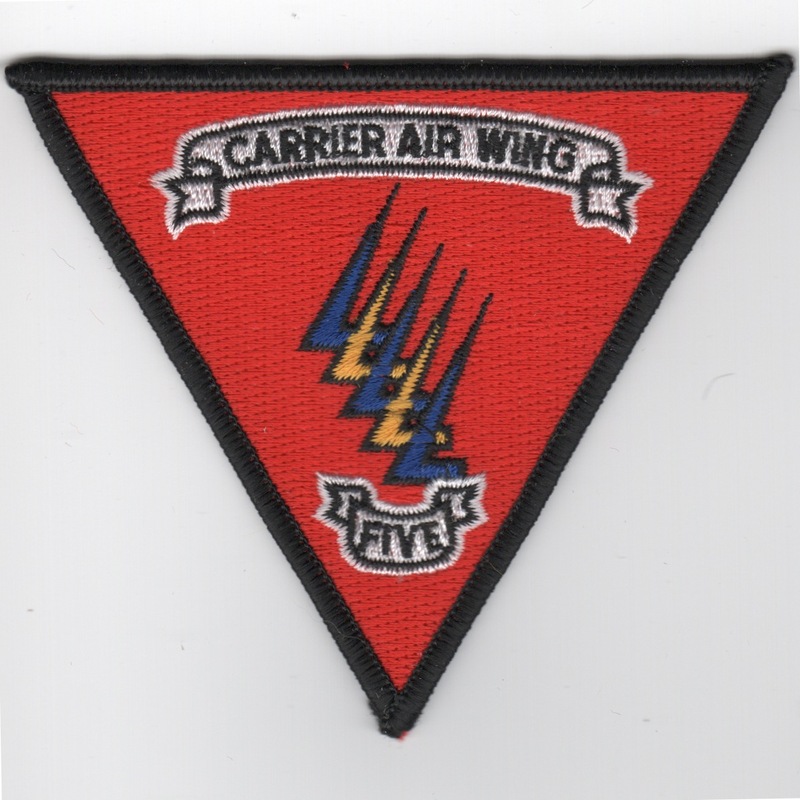 This patch was created for Carrier Airwing 5. 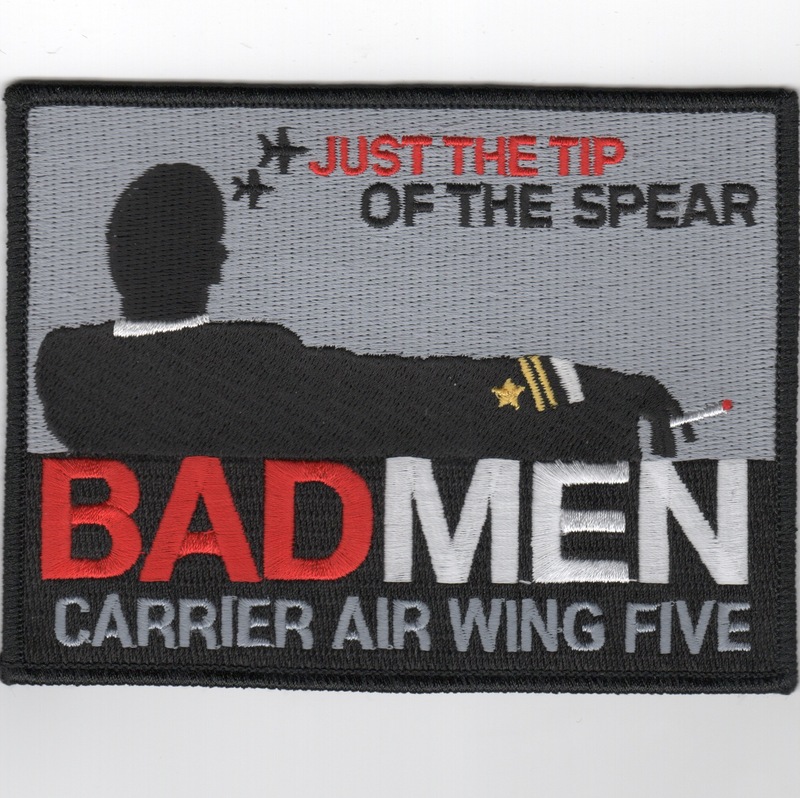 It says "BADMEN"..."JUST THE TIP OF THE SPEAR" across the top, .....must be one helluva story behind the creation of this patch too!! This patch does not have velcro already attached. This is the Carrier Airwing 5 Top Ten Tailhook patch for the Air Group flying out of Japan. This is the nametag for pilots assigned to Carrier Airwing 5 patch for the Air Group flying out of Japan. This is the Airwing 5 Det B patch created for Operation Enduring Freedom. It shows the F/A-18 Hornet returning to Diego Garcia from a bombing mission over Afghanistan. Quite a unique patch! Homepage | Order Airwing 5 Patches!